A clean, super-healthy, insanely low calorie and protein rich cream sauce to compliment any meal! 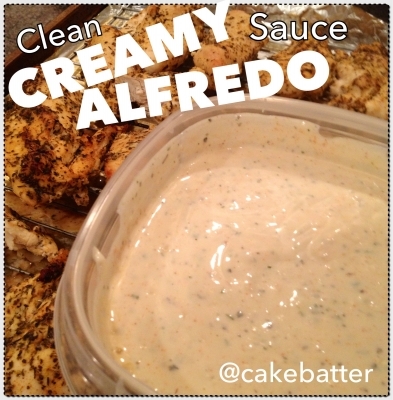 This will satisfy your cream sauce cravings in a pinch :) Very quick and easy to make as well! Toss everything except the liquids in a food processor or powerful blender and buzz up until smooth. Add 1/2 cup chicken stock into mixture and blend. Add more to taste! Your sauce may be thin enough by this time but if you want to thin it out further, add in a little almond milk at a time until desired consistency is reached.